Beige & Bleu is a New England-based collaboration of two interior designers brought together by friendship and a unified passion for design. Armed with bachelor’s degrees in communication and studio art from the University of Massachusetts Amherst, the two combine innate craft with formal experience that makes them an asset to any design project. Nicole and Morgan’s passion for design emerged with their travels across Europe post-graduation. The two creative, environmentally conscious designers find themselves inspiring clients and small businesses through unique design experiences, creativity, & art. It is their obligation to make the design process an experience, working from start to finish to get to know their clients on a personal level, understanding their likes and desires to create a space or event that suits their lifestyle. They believe that any well-designed environment should be a healthy and beautiful place, creating spaces that are perfect for their clients to use, entertain in, and enjoy. Nicole Noonan Owner & Principal Designer, LEED Green Associate, ASID Enthralled with the world of design and driven by an entrepreneurial heart, Nicole continued her education, earning her Masters of Interior Architecture at Endicott College. Nicole loves the simplicity good design can bring to the table and is continually inspired by her worldly adventures. She is a big picture person with a well-traveled eye which assists to create simple spaces with clean lines. Nicole enjoys seeing the potential in a space and assisting to implement her clients aesthetic and lifestyle goals while handling each project with as much attention and detail as she would her own home. Morgan Mackintosh Owner & Principal Designer By working in the both the interior design and photo styling industries, Morgan brings a different approach to design. Her natural eye for design allows her to look at the work a little differently, creating cohesive experiences her clients love. Morgan continued her education by completing a certificate in Event Planning & Management from UMASS Amherst. Business minded and detail oriented, Morgan finds comfort in the little things. Inspired by fashion, found objects, and traveling, her design style emanates a perfect mixture of elegant lines with unexpected colors and textures, all while reflecting her clients unique personalities and tastes. Together, the team comes well equipped for your upcoming design project. Our motto is making sensible decisions for complex projects. We specialize in architectural finishes and accurate historic colors. Kristina Crestin Design is an interior design and decorating firm working in the greater Boston area and all over New England. Full Service Interior Design, Renovation and Decorating Firm serving the North Shore since 2002. Whether you're planning a New Kitchen or Bath, or just to update or give your space a "facelift" I can help you create a space that is comfortable, functional and welcoming. Personally, color brings me peace and happiness. I like nothing better then looking at an empty room. One that needs some attention. To me it is an empty canvas waiting for me to add a touch of myself to it. Like painting a portrait, designing a room is a canvas and the finished product a masterpiece of texture, color, tone & feeling. My work has be featured in North Shore, Accent and Traditional Home magazine. I am committed to providing the highest standards and quality of work. Our services include: Color Consultations - Space Planning - Interior Design. Including but not limited to floor and lighting plans, furniture layouts, custom kitchens and baths, the selection and function of furnishings and all types of natural stone. Design custom furnishings and aid in the finish, fabric and specifications as well as the development of budgets and timelines for projects. We work with some of the best suppliers in home furnishings, fabrics and stone to help you make all of your visions come to fruition. Feel free to reach out, I would love to hear from you! Feeling overwhelmed by design choices and possibilities? Discover your style with Beach Plum Interiors. With over 15 years of both residential and commercial design experience, Christiana will help you make informed design choices that you will love for years to come. From furniture, light fixture and plumbing fixture selection to complete space planning and home design. Christiana will save you time and money with her experienced guidance and hand selected resources for every budget. Improving your world, one space at a time. Reach out, I'd love to inspire you. I am a seasoned Interior Designer working with home owners and design-to-build professionals. I'll keep you informed on what's to come in the project - so you are never caught off-guard. We are a full service interior design firm known for creating beautiful spaces with sophisticated functionality. East Coast Design's in-house workroom produces custom drapery, pillows & more. At TMS Architects, our mission is to embrace our clients’ visions and translate them into buildings that are beautiful, functional and sensitive to their environment. Morr Interiors is an Award-Winning Interior Design Firm specializing in Model Home Merchandising throughout the New England Area. Morr Interiors is about creating & selling a lifestyle with highly creative interior designs and helping Builders & Realtors sell homes in Communities. Morr Interiors works closely with each Development Team & Investors to assure the targeted audience is reached and each homebuyer is left with a memorable impression of the home. Morr Interiors is sure to “WOW” your home-buyers immediately as they walk through your front door and leave them with a sense they could “move right in.” Residential Home Staging starting at $2,500 up to $25,000.00 depending on the number of rooms in a home. Minimal leased furniture is offered through Morr Interiors but majority would need to be purchased by Homeowner. Two Hour Consult is recommended and a report is given to homeowner. Model Home Merchandising for Builders who need to sell homes in Residential Communities. Depending on the demographics, number of rooms to be furnished, costs to furnish a home complete with furniture, artwork, accessories range from $15,000 up to $75,000. Kitchen Renovations range from $20,000 up to $100,000. Designer will work with an existing subcontractor or will offer suggestions to local businesses. 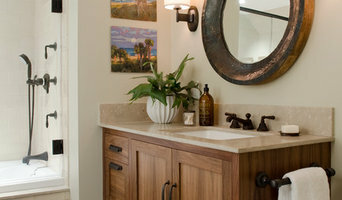 Bathrooms Renovations range from $12,000 to 60,000. Looking to Design or Re-Design a Basement range from $30,000 up to $200,000. Family Rooms designs range from $20,000 up to $100,000. Project management fees are not included within these costs and are billed separately to the client. Two-Hour Minimum Design Consulting Packages offered for $300.00. This package has been so successful with room designs and furniture layouts. Clients are provided with a floor plan of their space and can go out on their own to shop as they have this useful tool with dimensions on it. Anything above and beyond two hours is billed at hourly rate. Stephanie is an active member of the Builders & Remodelers Association of Greater Boston (BRAGB), Home Builders and Remodelers Association of NH (HBRANH) and a member of the National Association of Home Builders (NAHB). A R Designer's Group reflects the timelessness of tradition in a modern light. Attention to detail and customer service are instrumental to our core values. We believe that every interior design project should discover and embody the unique intersection between three critical elements: the site, the physical structure and the client’s lifestyle. As a studio we pride ourselves on listening closely to what each environment requires to both reflect our client’s personality and their practical needs, while staying true to our beliefs. Our retail shop and interior design services are regarded as having a relaxed sophistication, a layered look- one that feels collected over time and always a pop of something unexpected. A boutique design firm expert in reimagining your space to tell your story. Timeless and innovative Dillen Design melds classic design elements, craftsmanship, and beauty. Whether you're planning a new kitchen or bath, or just to update or give your space a "facelift" I can help you create a space that is comfortable, functional and welcoming. As an Interior Designer, my goal is to understand your interpretation of style and comfort, then to understand the space in which you dwell and its opportunities. The work of a professional can make all the difference. Whether your home has 10 bedrooms, or your apartment is 800 square feet, it can be tricky to create a cohesive look that is representative of your style. That's where a local Danvers interior designer comes in. A home decorator will help distill your tastes and ideas into a design that suits the needs of your space. Whether you need help creating a functional space plan, rearranging existing pieces, designing the inside of a new home, or simply sourcing amazing furniture and decor, seeking the help of professional interior designers and decorators in Danvers, MA is a must. A good home design professional will hone your style down to its very essence and be able to choose a functional layout that feels natural to you. Interior design companies can be involved as much or as little as the client desires. Many clients who hire an interior decorator in Danvers, MA — particularly those who are remodeling — have a good sense of how the room should look and what products they should use. Often clients will insist that interior decorators use the products already present in the house. Other times a designer will need to start from scratch — especially if this is a newly purchased or just-built home. An interior design company will need to figure out exactly what the client needs, which includes organizing rooms, picking flooring and wall colors, and finding furniture to complement it all. 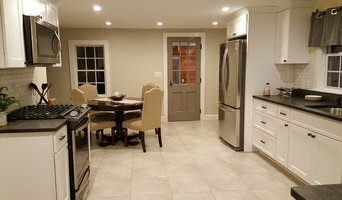 Sometimes that means he or she will have to recruit help from other Danvers, MA home professionals to help create the perfect look for your renovation. Here are some related professionals and vendors to complement the work of interior designers & decorators: Architects & Building Designers, General Contractors, Home Builders, Design-Build Firms, Photographers. Do your research before meeting with an interior designer or home decorator in Danvers, MA. Ask yourself what you want your space to become and what it will be used for. Figure out the extent of what you need help with, what your must-haves are and what your budget is. Interior design services can add up fast, so be up front with a potential design firm or individual from the beginning. Also, pick an interior decorator that fits your style. 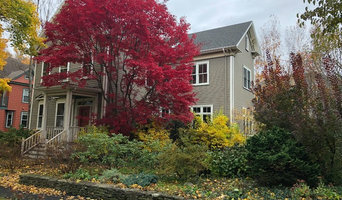 Browse through the portfolios of different Danvers interior design firms and decide if you would live in those houses. Just because you like something doesn’t mean you could live in it. There's a big difference! Find an interior designer or home decorator in Danvers, MA on Houzz. Narrow your search in the Professionals section to find Danvers interior designers near you. 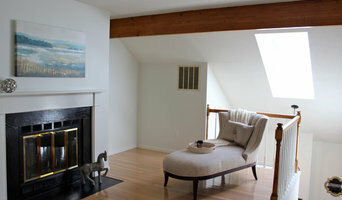 You can also look through Danvers, MA photos to find a room you like, then contact the design firm who designed it.